Urban Farms Are Sprouting up across the United States. Can They Translate Popularity into Profitability? Sean Hagan shoves a digging fork into the soil and pries out a bunch of carrots. He ties the bunch together, then stops and looks across the crops to another farmer calling for his attention. She holds a gnarly root in her hand. “Do we have something against large turnips around here?” asks Sonya Ciavola. “I have something against turnips in general,” Hagan says. He’s not fond of their taste. On a gloomy February morning, the blond, 29-year-old Hagan trudges through muddy row crops growing on six acres of agricultural land operated by Soil Born Farms Urban Agriculture and Education Project, a nonprofit farm in Sacramento, California. Soil Born has two other acres for pasture and plans to plant a three-acre fruit tree orchard this fall. But this isn’t exactly the bucolic landscape typically associated with farming. The fields sit on the outskirts of a residential area. Down the street is a high school, as well as a shopping center with a Dollar Tree, grocery store, and gas station. A check-cashing business is nearby. For all its uniqueness, Soil Born Farms illustrates a larger national urban agriculture movement. In recent years, urban farming has become all the rage. Farms and community gardens in city centers seem to have struck a chord with an American public increasingly hungry for fresh, local, organic produce. Urban food plots have become media darlings, profiled in The New York Times Magazine and O, the Oprah magazine. They are attracting big grants from major philanthropies and enjoy the support of chefs at upscale restaurants. City farms are sprouting in all sorts of unlikely places: in empty lots next to apartment complexes, across from high schools, and in old industrial centers. Sizeable food-production plots have sprung up in Philadelphia, Baltimore, Chicago, Oakland, Milwaukee, Boston, Detroit, and San Francisco. The Food Project in Lincoln, Massachusetts involves more than 100 teenage farmers annually. Brooklyn boasts Added Value in the working class Redhook neighborhood. Phoenix has the aptly named Urban Farm. Although part of the broader sustainable food phenomenon, many of the country’s urban farms seek to tackle issues that Whole Foods, with its relatively high prices and affluent customers, is not addressing. The urban farm movement aims to take control of food production away from large-scale industrial agriculture and root it within local food systems that attempt to ensure food access for the urban poor. Often located in low-income neighborhoods, many city farms operate off the basic premise that healthy, affordable food is a basic human right. “Food justice” is the mantra of most, if not all, of the organizations in the urban farming movement. That means serving the estimated 14 percent of Americans who experience food insecurity – 49 million people who are unsure where they’ll find their next meal. Yet urban farming’s potential to address the challenges of our food system remains unclear. Although popularity and trendiness can be big boons to business, these urban farms haven’t yet found a way to thrive in the market economy. Most rely heavily on volunteer labor and grant funding. They may be at the forefront of ecological sustainability, but economic sustainability eludes them. And that’s a problem because they are unlikely to fulfill their aspirations and make a meaningful dent in the problem of food insecurity if they are forever running on the treadmill of foundation funding. “The most fundamental question is about scale,” says Brahm Ahmadi, co-founder of People’s Grocery in Oakland. By “scale” Ahmadi means the ability of urban farming projects to satisfy the demand for sustainable food that exists in a given community. According to Ahmadi, in many food-insecure neighborhoods 60 to 70 percent of food dollars are spent outside the community. Most urban farms are able to close only a fraction of that gap, about 10 percent. “If we’re going to address food justice to make any significant effect on this massive issue, we’re going to have to scale different,” Ahmadi says. On this Friday morning, the workers at Soil Born Farms gather arugula – an item planted at the request of a local chef at a fancy restaurant. 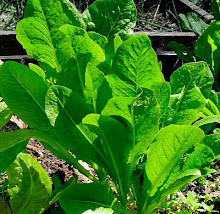 Arugula will also be added to the farm’s community-supported agriculture (CSA) boxes, along with collards, chard, beets, carrots, mustard greens, and broccoli. A couple of teenagers help harvest vegetables. They earn $8 an hour to work about 20 hours a week as part of the organization’s Green Corps program to provide job training to local youth. After harvesting, the group lines up boxes on a long table and unloads crates of produce. A cow moos. Soil Born Farms has seven sheep, 11 lambs, 80 chickens (that lay eggs to sell at the farm stand), four cows, and one pig that roams around aimlessly. A few yards away, Porter the dog runs through the fields. He keeps coyotes at bay. While the farm is adjacent to commercial and residential buildings on one side, the American River flows down the other side of the farm, offering a touch of wildness. During winter, Soil Born harvests two days a week to fill 60 CSA boxes – 80 boxes in the summer. In a CSA, consumers pay for their weekly produce boxes in advance of the growing season, which gives farms a cushion from market forces and unpredictable weather, and provides consumers with food from a source they can trust. Harrison and Franciosa determined that in order to tap into community and foundation financial support, and more easily access public-land resources, becoming a nonprofit organization made the most sense. In addition to the CSA, Soil Born runs a farm stand and sells food to restaurants. The farm also has an explicit social mission. It organizes a volunteer fruit-gleaning group, which donated nearly 20,000 pounds of produce to local food banks in 2009, and serves 1,500 children a year through its educational programs. Staff members also work closely with the city’s large Hmong community to increase market opportunities for Southeast Asian growers. Balancing farming responsibilities with time-consuming educational programs can be challenging. “I think the urban farmer takes a certain kind of mold,” Hagan says as he ties bunches of carrots together. Most farmers only want to grow food, he says. Urban farmers, on the other hand, must also engage the public. The organization is doing its best to sustain itself through sales, which isn’t easy. In 2009, the organization’s budget was $780,000; the 2010 budget is about $1 million. Nearly 60 percent of the organization’s revenue comes from private foundations and government grants. What Soil Born Farms could use, the managers acknowledge, is a big revenue-generating idea. Two hours west, the San Francisco Bay Area boasts several urban farms. In Richmond – a city isolated by freeways and railroad tracks and best known as the home of a giant Chevron oil refinery – the Eco Village operates on five acres of land surrounded by blackberry vines as well as oak and walnut trees. Down in West Oakland is City Slicker Farms, which residents founded in 2001 in a predominantly African-American neighborhood that now includes a growing number of Latinos and Asians. The organization’s staff works out of a building next door to a barbed-wire fence. Across the street sits a boarded-up brick building. On a Saturday morning in March, neighbors congregate for a weekly farm stand in front of one of City Slicker Farms’ seven garden sites. Customers try samples from a plate of honey while bagging up carrots and bok choy, self-determining what price they can afford. The organization uses sliding scale pricing so no one is turned away for lack of funds. The first level is for those out of work whose unemployment check maybe hasn’t yet arrived – City Slicker Farms asks for no explanation – and these people get carrots, lemons, collards, celery, and other items for free. The second level is intended for people living paycheck-to-paycheck who would otherwise search for deals at Safeway; they pay between 50 cents and $1.25 for a bunch of greens or a bag of carrots. The third level is for people who can afford to shop at Whole Foods but would rather support the farm stand and can afford to pay a little more. They pay between around $2 for a bag or bunch. “Good to see you, it’s been awhile,” says City Slicker Farms Executive Director Barbara Finnin, hugging an elderly African-American woman named Edith. Finnin moved to West Oakland 11 years ago but has farmed her whole life, having grown up in a Mennonite agricultural community in Pennsylvania. The two chat and Edith comments on her backyard garden, built by City Slicker. “I love it,” she says. City Slicker Farms hosts a backyard garden build every Saturday for low-income residents. It’s like a traditional barn-raising, with everyone and anyone in the neighborhood invited to chip in. Participants in the program help build their garden beds, with soil, plants, seeds, and a fruit tree donated by the organization. For two years, a garden mentor provides horticulture advice to participants. Since the program started in 2005, the organization has built 112 gardens; 99 of those families remain involved. As morning turns into afternoon, Abeni Ramsey, the group’s market coordinator, walks through the garden behind the farm stand, the place where it all started in 2001. Now the site acts more as a demonstration garden, with a worm bin, an outdoor classroom, and growing tubes that sprout parsley, green onions, and celery. Every summer growing up, Ramsey traveled from Berkeley to Queens, New York, to help her grandfather prune tomatoes and harvest corn at his urban farm. About a decade ago, Ramsey recalls, the only grocery store in West Oakland closed down. Before long, the organization built two garden boxes in the shambles of a backyard behind her old Victorian house. Later, she acquired chickens and goats, recognizing that the once-empty space could provide food for her whole family. “Just because [West Oakland] looks like a barren wasteland, it doesn’t have to be like that,” says Ramsey, who serves as one of City Slicker Farms’ eight staff members. As Ramsey and Finnin visit with neighbors, two young men venture up to the farm stand, one holding a video camera and the other air-monitoring equipment. They’re part of a youth media group investigating the Bay Area’s “Toxic Triangle”: San Francisco’s naval shipyard, Richmond’s Chevron refinery, and the Port of Oakland. The air pollution and lead in the soil in parts of many US cities compound another critical roadblock for food-access folks: the lack of land available for urban farming. City Slicker Farms doesn’t own any of the land upon which it grows. Neither does Soil Born Farms. Finnin wants the city of Oakland to allocate land specifically for agricultural use. She wants the city to repurpose parks and turn them into edible gardens. The group’s long-term vision involves West Oakland growing 40 percent of its own fruits and vegetables. City Slicker staff estimate that meeting that goal would require 77 acres of land, or 3 percent of the community’s total area. City Slicker Farms’ food-justice mission is driven by the ideal of neighborhood empowerment: Teaching local residents how to garden and feed themselves. But City Slicker Farms, like Soil Born, faces the classic challenge of nonprofit organizations – a dependence on grants. The question remains: How can City Slicker Farms get bigger? It’s the same problem faced by most urban farms and food-access organizations. Take, for example, Milwaukee’s Growing Power, widely recognized as one of the most impressive urban farms in the country. Growing Power operates 14 greenhouses situated on two acres in a working-class neighborhood, near the city’s largest public-housing project. The farm produces a quarter of a million dollars’ worth of food a year, which feeds 10,000 residents through an on-farm retail store, restaurants, schools, farmers’ markets, and low-cost CSA shares. Founder Will Allen, whose father was a sharecropper in South Carolina, started the organization in 1993. In 2009, he was honored with a MacArthur “genius” award. Allen uses millions of pounds of food waste as compost – some of which is sold – and plants seeds at quadruple density to maximize space. From a sustainable-agriculture standpoint, Growing Power is a success. But it’s not financially self-sufficient. In the past five years, Allen has received at least $1 million in grants. People’s Grocery, another food justice organization based in West Oakland, believes it has a plan to be both economically self-sufficient and meet its core goal of increasing food access for low-income households: opening up its own neighborhood grocery store. In 2003, the organization started distributing organic food in the area with its “mobile market” – a mediagenic biodiesel-powered, brightly painted converted postal van that cruised the neighborhood, stopping on corners to sell all the offerings one could find in a typical health food store. While the effort was a huge success in terms of public education, it was a financial drain. Sixty percent of the market’s revenue came from philanthropies, and the organization shuttered the van in 2006. Since then, People’s Grocery has pivoted its focus to food production. The organization has two garden sites in Oakland and a 3.5-acre farm 35 miles away. Its CSA program – called GRUB – serves roughly 300 customers. Like City Slicker Farms, People’s Grocery has a graduated pricing system. People on food stamps, or those suffering from chronic disease, pay a discounted rate, while more affluent customers can purchase a “sponsorship box” at a premium rate to subsidize the program’s costs. The GRUB boxes generate close to $50,000 a year in revenue, but People’s Grocery remains reliant on donations and grants. “We realized we had to spin off and do the venture to demonstrate that an inner-city store can be successful, and that a local-food project can exist without a charitable structure and subsidies,” says co-founder Ahmadi. Not a single large grocery store exists in West Oakland, a neighborhood of about 24,000 people covering five square miles. But some 50 corner stores operate there, which equates to about one store for every 500 residents, as opposed to the middle-class neighborhoods of Oakland where one corner store exists for every 7,000 people, according to Ahmadi. Additionally, he says, corner stores charge 30 to 100 percent more for the same items sold in grocery stores. A 2008 study found that West Oakland residents spend about $54 million annually for food for at-home consumption. Sixty-eight percent of this annual expenditure is not met locally, which equates to almost $37 million lost from the local economy. Or, put another way, even in this relatively poor neighborhood there’s a $50 million food economy, which means there should be some way for the economics to pencil out for a sustainable food operation. After that study came out, Ahmadi totaled the revenues and weight of food distributed by five West Oakland food-access organizations – including People’s Grocery and City Slicker Farms – and compared those to the identified food-spending power. Together, the organizations’ total activities met about 1 percent of the community’s demand. To reach a scale that can meet demand, food access organizations have to offer a broad selection of products, large quantities of those products, accessible locations, and convenient operating hours – the same basics that customers at Whole Foods in the more upscale city of Berkeley expect – with the added bonus of affordable prices. “Low-income residents want full selection across a broad array of categories, which is why they spend a lot of time, money, and effort traveling to outlying grocery stores that are large enough to offer a suitable selection,” Ahmadi says. The group is about to start lease negotiations on a site that was once a popular shopping center. And Ahmadi believes he can leverage the nonprofit’s history of success to attract investors. The store, to be called People’s Community Market, is set to launch in early 2011. As even its ardent protagonists acknowledge, city farming’s potential is limited. The United States’ small-scale city farm projects are micro-enterprises with modest revenue and distribution. They provide an important entry point for city dwellers to learn about the need for sustainable food systems, but they will never feed the country. Even in poorer West Oakland, there’s a $50 million food economy. The best strategy for urban farm organizations might be to simply let the fruits and vegetables speak for themselves. At least, that’s the approach taken by Greensgrow, an urban farm started in 1998 in a low-income neighborhood of north Philadelphia, that has figured out how to both turn a profit and make local organic produce available to nearby residents. The organization has a one-acre plot of raised beds and greenhouses on the site of a former steel-galvanizing factory. It sells vegetables, herbs, honey, and seedlings produced on-site, along with produce, breads, meats, and cheeses from local producers. Greensgrow also makes biodiesel from waste oil produced by the restaurants that buy its vegetables. “We are extremely diversified,” says co-founder Mary Seton Corboy. She says this diversification partly explains why her organization is financially self-sufficient, while many other urban farms are not. In 2009, Greensgrow had an income of $825,000. That’s earned income from CSAs, farm stand sales, restaurant sales, and nursery sales. Their profit of $85,000 was then invested in community programs, including workshops, tour visits, and plant giveaways. Greensgrow is, technically, a nonprofit. The group recently started a community kitchen and received $20,000 in grants to cover initial costs. The farm is starting a low-income CSA later this year, and because there’s an educational component to the program, the organization is looking for outside funding. But with a social mission focused on incubating ecological entrepreneurship, Greensgrow has always operated as if it were a for-profit company. Sena Christian is a freelance journalist and newspaper reporter based in Sacramento, California. She covers feminist, environmental and social-justice issues. The millions of Americans with a lawn or garden know that even small shifts in weather can affect their outdoor plans. Unchecked global warming, however, could force gardeners to deal with more droughts and floods, and a profusion of pests and weeds. Gardening practices alone won’t solve global warming, but gardeners can point the way to climate-friendly farm policies that will have a bigger impact. Gasoline-powered garden tools are major emitters of carbon dioxide (CO2), the primary global warming gas. But emissions can also come from unexpected sources such as fossil fuel-based fertilizers and pesticides and peat-based potting mixes. Use electric or push mowers, rakes, and other low- or no-emission tools, compost, and natural pest-control methods. Stabilize, build, and add nutrients to garden soil that would otherwise remain bare by planting winter cover crops such as grasses, cereal grains, or legumes. In addition to preventing erosion and keeping weeds down, they add carbon to the soil when they are turned under in the spring. Peas, beans, clovers, and other legumes convert nitrogen from the atmosphere into natural fertilizer. Because of their size and long life span, trees and large shrubs remove more heat-trapping CO2 from the atmosphere than other plants. As an added bonus, well-placed trees offer summer shade and protection from winter winds, reducing emissions associated with home heating and air conditioning. Organic waste decomposing in oxygen-poor landfills generates methane, a heat-trapping gas 23 times more potent than CO2. By contrast, composting this waste in the presence of oxygen minimizes methane production. Composting also produces a nutrient-rich soil amendment that reduces the need for synthetic fertilizer while helping soil store more carbon. Lawns absorb carbon from the atmosphere, but some studies suggest that this climate benefit may be undercut by heat-trapping nitrous oxide emissions related to fertilizer use and generous watering. While there is no scientific consensus yet on the climate impact of lawns, you can make yours as climate-friendly as possible by choosing drought-tolerant species, mowing high, watering during the coolest part of the day, and leaving grass clippings to fertilize the soil (and add extra carbon) naturally. Carbon is constantly cycling from the air into plants and soil, and back into the air. Global warming is largely a result of an imbalance in this carbon cycle, due to the release of vast quantities of ancient carbon that have been burned as fossil fuel. Want inspiration to grow your own food? Want inspiration to grow your own food for yourself, your family and friends? Do you ever eat McDonald's hamburgers or french fries? Or know anyone who does? I don't eat fast food, but I believe that everyone should see this. If you haven't started growing your own food, then this might inspire you to start. You can even start small, with one tomato, zucchini, pepper and some basil. This could be the basic ingredients for a pasta dish, steamed veggies over rice, a homemade pizza, or a great salad. All you would need to add is pasta, rice, lettuce or flour. So you say, why didn't you add lettuce to the list of things to grow. Well, it is high summer right now and in Sacramento lettuce doesn't do well with our hot summers. Save the lettuce for fall. I only listed things that enjoy our temperatures and are very very easy to grow. In fact, if you have room, I would add bush or pole beans to the list of absolutely easy to grow veggies. They just need to be planted in good soil which you have weeded first. Lightly mix your soil- top 6 to 8" with part of a bag of compost), water well after planting, place about an inch thick layer of compost (from the rest of the bag) on top and mulch with wood chips. Why wood chips you say. Well, they help keep the soil at a constant temperature, because just like us, plant roots and the micro-organisms in the soil don't like swinging temperature extremes. Don't have wood chips available, well leaves collected from your fall drop work well too; they just don't last as long as the wood chips, but will last long enough for a seasonal garden. Pile the mulch about 3-4 inches thick on the moist soil and water well (you want them to break down over time to feed your soil/plants and you don't want them to blow away). Keep the mulch an inch or so away from the stem on your little plants.The mulch also helps retain moisture in the soil, which the plants like, and after the initial few days after planting, you won't have to water but every other, or every couple days. Just stick your finger into the mulch to the soil to see if it is still moist to the touch. The plants will also tell you when they need it, but don't be confused by their "full sun wilt" in the middle of the day, because they might still have moist enough soil. Zucchini really don't like the beating hot sun all day at all. I plant mine to receive just 1/2 day of intense sun. In a home garden, that is easier to do than a farm field. Another thing to know about planting out little plants is they aren't used to the hot direct sun, so provide a little afternoon shade for them until they get established. I use shingles that I stick in the ground on the south or south western side of each little plant. They appreciate it. But you could use any material you have - like cardboard supported by a few stakes. No, I don't go out and buy stakes for this - I used branches I have trimmed or any other materials like that. I even use the metal spokes of an old antenna for stakes. I almost forgot, some plants, like the tomatoes or pole beans do appreciate support. I have bought tomato cages, made my own from fencing wire that I bent into a cylinder, used poles and lumber, large limbs from pruning, and bamboo poles donated from friends. Just remember, if you use limbs, make sure they are not green/alive inside or you might be planting a new tree in you veggie bed. You may want to support your peppers and basil plants with a little stake too. Especially when your pepper plant is so laden with peppers that it want to pull the plant over (it is best to keep the peppers off the soil, so they don't get a soft spot). This is a longer description than I intended, but I just kept thinking of new things that I have learned over time and want you to be successful. So this is a starter course in growing real food, real cheaply, for really not much time or energy. Then the side effect is the Serotonin that is generated in your brain when you work with the soil which makes you happy. I bet you always wondered why gardeners were happy. This is really good for kids too. Get them to pull weeds for you. But you won't have many weeds in your veggie garden because you put down mulch. Have a wonderful, healthy summer. It is fun!